Somebody better break out the Icy Hot because Shaq was not ready to drop it as low as he went. 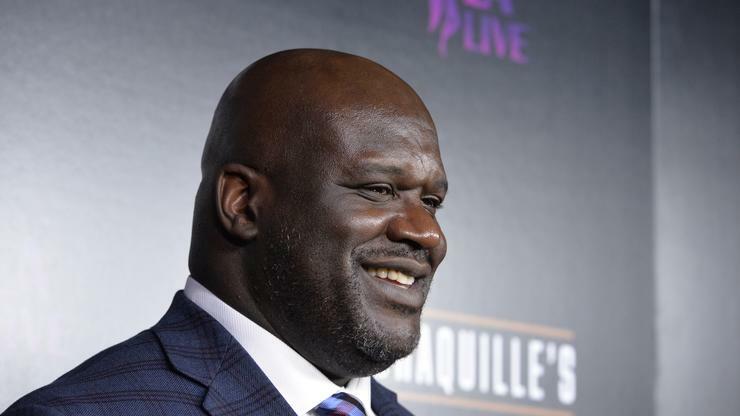 In a funny video clip shared on Instagram, Shaq entertained his office colleagues by giving a short-lived dance routine to Blueface’s international hit “Thotiana.” The single has become its own meme generator with covers and remixes to remixes, becoming one of the biggest hits of 2019’s four-and-a-half-month history. One thing no one expected to hear was a remix of “Thotiana” and Vanessa Carlton’s “A Thousand Miles,” a song that was made even more famous by Terry Crews in White Chicks. In Shaq’s Instagram clip, the remix begins with the piano intro from Carlton’s track before it moves into Blueface’s hip hop hit. Shaq then grabs onto his belt buckle and does his best Blueface buss down dance impression before giving us a throwback with 69 Boyz’s “Tootsee Roll” move. Things got a little sketchy when Shaq tried to follow the lyrics and actually “break it out” by dropping it low, but he quickly realized that his body just doesn’t function like it used to. His audience laughed at Shaq as the former NBA star struggled to stand up and had to shake off the pain in his knees. It was a wrap as Shaq called the whole thing off, but it was all in good fun.